Natural, delicious member of ETİ Burçak family with rich fiber content: ETİ Burçak Bran Biscuits. An alternative for the ones taking care of their health with 20% bran content and fruits consisting of plum, fig and raisin. ETİ Burçak Bran Biscuits prove that there is still something left natural in this world! 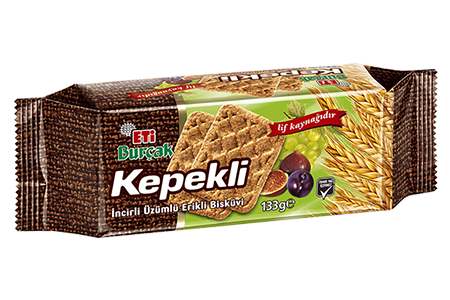 1 package of ETİ Burçak Bran Biscuits contains 17,3 gr. fiber. It meets 87% of our daily fiber need.